Consider who is paying and what your budget is. Then work out what kind of shin dig you’re after – small and intimate or one HUGE party. Our budget tool is super useful for working out what needs paying for, so use these sections as talking points for when you then bring in the families. If both families are contributing financially, they should be given a number of guests that they can invite, especially if it is a big wedding. If you are paying, then do whatever YOU ultimately want. Either way, make sure you get across the kind of party you want for your big day. The traditional way of dividing guests used to be 50% to the couple, and 25% to each family. If one family has a huge amount of cousins, this doesn’t really work. And if another family is contributing the full whack, this also may not work. Our advice is to work out what kind of wedding YOU want, decide on your favourite guests and divide the rest accordingly between your families. This way, everyone will feel included and happy! Try and be as fair as you possibly can; that is the only way to avoid resentment, hurt feelings and arguments. If you are forced to cut back on guest numbers, make sure to cut equally from each side, your own included, not just those of your future in-laws. You’re inviting a huge bunch of people to the party of the century – how fun, but just be sensitive to everyone’s requests! If your parents or in-laws are inviting someone you don’t know as well (or don’t like! ), it’s nice to make time to meet them and try to get to know them better before W-Day. 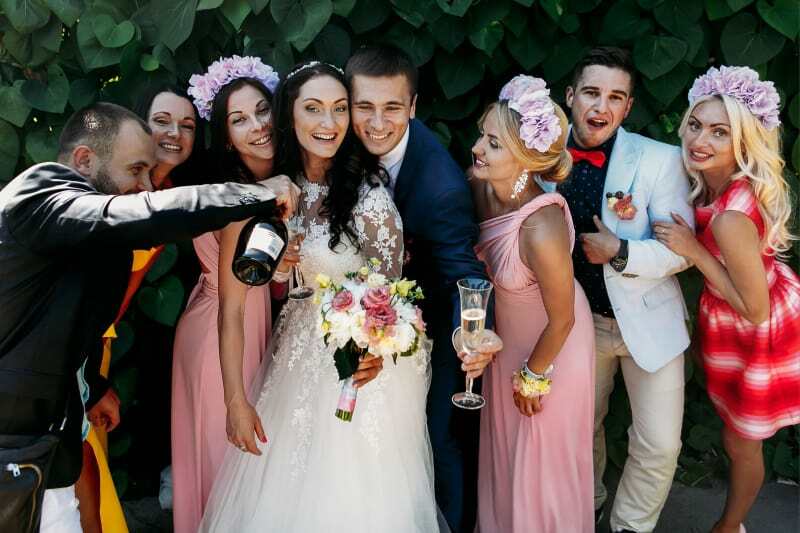 Your wedding is a special occasion and you want to be surrounded by people you know, besides, the guest will feel especially welcomed and comfortable if you’ve made that effort. Guest lists and families can be tricky, but stick to our advice, be polite and considerate and you will find the task ahead of you immeasurably easier and lots of fun. You get to sit down with your family and loved one, put together a list of all the epic people in your life and then invite them to one huge party.